Has your child ever received a present from someone that caused way more trouble than it's worth? Yes, a gift is a thoughtful gesture and you should appreciate it, but there are certain things we prefer children go without, for practical reasons and you know, to spare us our sanity. A lot of the items listed children may already have, but at least you can be guilt-free knowing that you're not the one who got it for them or adding to the stress! What are some of the things you never want anyone to get your children for Christmas? Let us know by emailing us at chatback@Parent24.com and we could publish your comments. Do let us know if you'd like to remain anonymous. I think this one is pretty obvious and probably the first thing that would pop into anyone's head when considering gifts that you should never get other people's children (unless you actually hate their parents and want them to have sleepless nights, of course). Toys that have too many little pieces and can easily get lost around the house or end up being one big mess is best avoided. No one wants to be walking around the house and step on a tiny picnic basket from a doll set. If you get a child something like make-up or a violent video game that you know their parents may not be comfortable with, refrain from getting it. You don't want to be that person. Also see: Our 2018 Christmas gift guide! Say no to unfair gift giving. 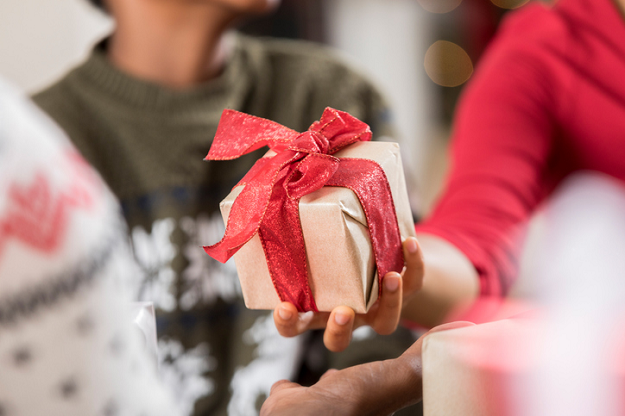 If you are giving to more than one child, make sure you get them gifts that are either of a similar nature or a similar price range so that it feels fair and one child doesn't feel left out. Don't make giving the gift only half of the gift. Anything that requires some extra commitment or responsibility on the parents' behalf is not a gift you want to be giving. Unless you know the child's exact clothing or shoe size, avoid getting them clothing. It's too much of a risky gift, plus children can be quite finicky about clothing (parents too). Avoid fancy electronics, flashy toys, a large amount of cash or anything of a similar nature. This may put pressure on parents to fork out more money on their own children and can come across as distasteful. You're not going to be the one looking after the kids when they're bouncing off the walls, are you? I thought so. If you're not going to be the one dealing with assembling it, then don't get the gift. The goal here isn't to make the parents' life more difficult. Glitter looks all innocent in its little jar but as soon as you open it, it will end up all over the floor, on your body, in your hair, on your pets, on the ceiling, in Yugoslavia; you know how it goes. Not always the best idea. Also see: INDEX: Tonnes of DIY gift ideas! There's a reason toys say "3 years old+" on their boxes: it's because you shouldn't be getting them for 1-year-olds!